Since the beginning of the Industrial Revolution towards the end of the 1700s, human activity such as increased emissions of greenhouse gases and aerosols, changes in ozone and land use have played an increasing role in driving climate change. However, if one looks further back in time, drivers of global climate were mainly natural factors such as changes in solar radiation and volcanic activity. 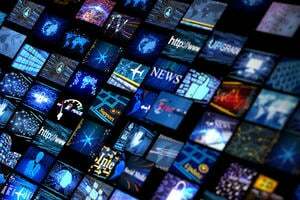 Influences from these natural phenomena are both positive and negative, whereas the effects from man made emissions of CO2 are continually positive and accumulate from year to year. The Sun is the source of all life on Earth, and it is an important factor in climate change. The total amount of solar radiation in the uppermost atmosphere depends not only on how much energy the Sun emits at any given time, but also on the position and tilt of the Earth in relation to the Sun. It is these variations in the position and tilt of the Earth which explain the long-term changes in climate on Earth, including the large changes observed during the Ice Ages. The Earth’s orbit around the Sun is elliptical, and the eccentricity of the orbit varies with a periodicity of 100,000 and 400,000 years. 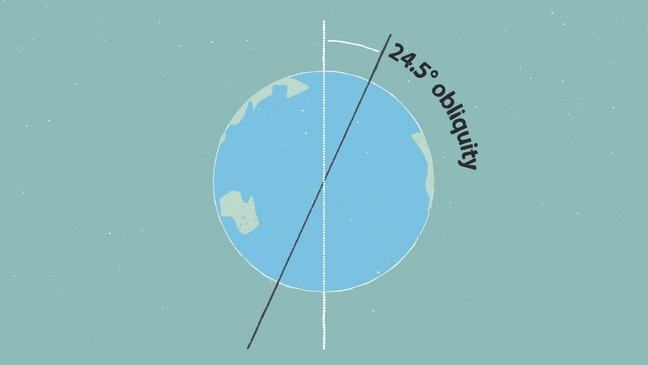 The obliquity or tilt of the Earth’s axis in relation to the plane of the orbit around the Sun gives us the seasons. Today the tilt is about 23.5 degrees. However, the tilt of the Earth’s axis varies between 22.0 and 24.5 degrees with a periodicity of 41,000 years. 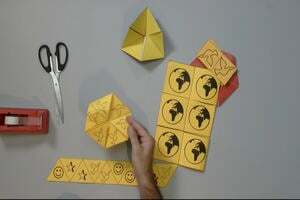 The Earth functions like a spinning top, rotating completely on its own axis during the course of one day. However, Earth’s spin axis never points towards the same direction relative to the fixed stars. Instead it slowly rotates(or precesses). 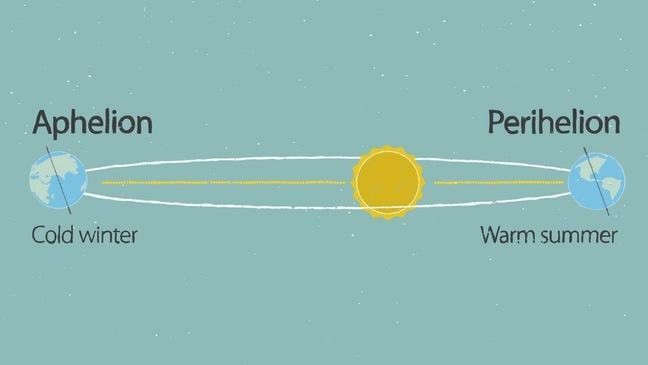 Due to this phenomenon, called the precession of the equinoxes, the season (or day) when the Earth is at perihelion (the point on the orbit that places Earth closest to the Sun) changes with a periodicity of about 21,000 years. The current interglacial era has been subject to a number of changes in the orbital parameters. Some 6,000–7,000 years ago, the tilt of the Earth’s axis was larger resulting in increased solar irradiance during the summer in the Northern Hemisphere, while the Tropics received less energy from the Sun. At the same time, changes in the Earth’s precession intensified seasonal variations in the north. These changes contributed to a sizeable rise in summer temperatures in the Northern Hemisphere, which in turn may explain why large glaciers in Norway, such as Hardangerjøkulen and Folgefonna, were not present during this era. In the tropics it was generally colder, while monsoon rains were stronger than today. This may explain why the Sahara was a lush rainforest at this time. The total solar irradiance varies over time and can be related to the well-known 11-year sunspot cycle. Higher sunspot activity yields increased solar irradiance towards Earth, and vice versa. 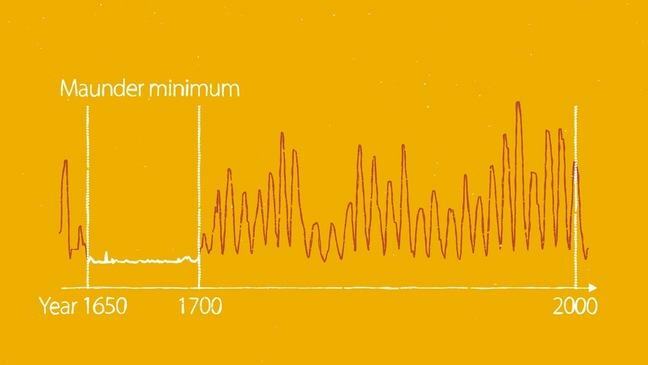 Actual observations of sunspots on the sun’s surface reveal that the last half of the 1600s were a period of abnormally little sunspot activity. Following this period, called the “Maunder minimum”, sunspot activity has increased. However, direct measurements of solar irradiance by satellites have not indicated any positive trends since 1978. This means that changes in solar irradiance alone cannot explain the recent observed global warming. Volcanic eruptions are important for changes in weather and climate, particularly during the first couple years after an eruption. The most important effect volcanic eruptions have on climate is the emission of sulphuric gases, which rapidly transform into aerosols. The aerosol haze reflects some of the incoming solar radiation and thereby results in a cooling of the earth’s surface. This effect is thought to have been an important factor in cooling the Earth’s surface during the period called the little ice age (ca. 1550-1800AD). 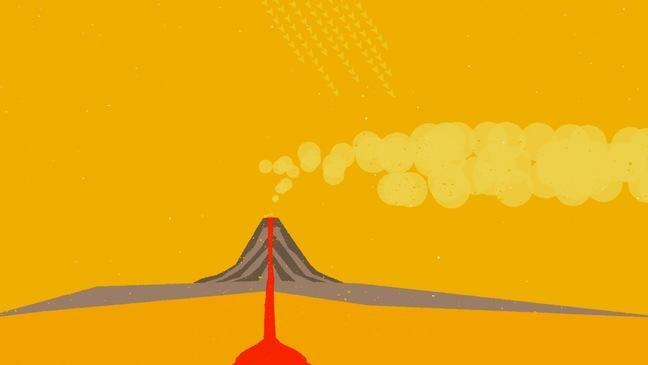 Volcanoes also emit steam and carbon dioxide, but because of the vast amount that already exist in the atmosphere, even a major volcanic eruption will not lead to a noticeable change in carbondioxide concentrations globally. However, on very long time scales (thousands to millions of years), emissions from large volcanoes may have increased the concentration of CO2 in the atmosphere enough to contribute to global warming.